The bag, in precious silver or gold metal, sheds the spotlight on star constellations which are laser-cut in plexiglass. Each clutch presents a bespoke clasp with engraved star-sign. 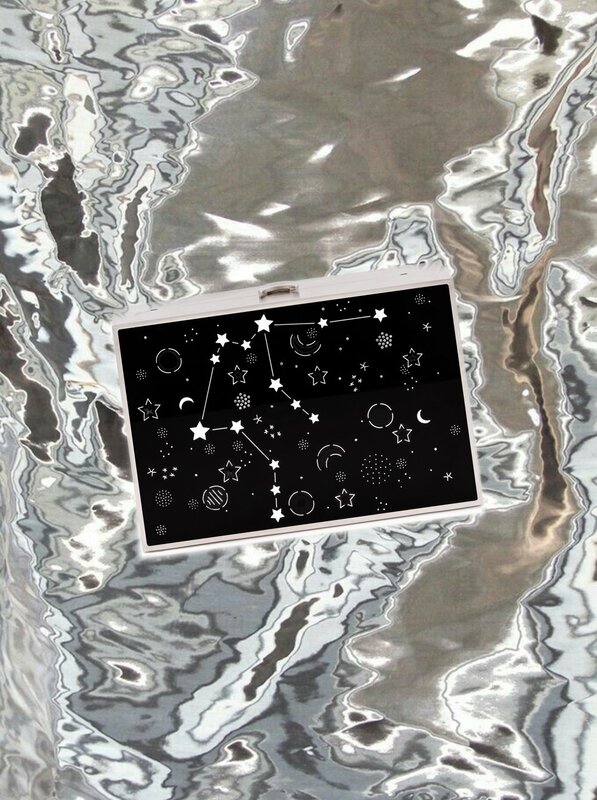 The bags feature 12 different constellations, creating a collection of one bag for every zodiac sign. Its dreamy design features a magic light projection that evokes the star-gazed night sky, presenting a unique facet of how the stars and alignment of planets are said to be shaping our destiny. The collection represents the relationship of men with the universe, and the ever-present attraction of the cosmos, driven by the curiosity of the unknown.